When you visit Dr. Frank Godino, our Dana Point dentist, your dental health is our top priority. Our entire team is dedicated to providing you with the personalized, gentle care that you deserve. From the moment you enter our dental office, you will notice our family-friendly atmosphere. Each member of our staff loves the work they do and it shows; each person has been with the practice for at least fourteen years. We take our time with each patient and focus on building lasting relationships to serve our patients throughout their entire lifetime. Part of our commitment to serving our patients includes providing information that helps them make better informed decisions regarding their oral health needs. This website is a resource we hope you’ll find both useful and interesting. In our Dana Point dental office, we utilize cutting-edge technology to improve patient education. Intraoral cameras and the digital SLR camera are great ways to capture images of the mouth to be displayed on a monitor for the patient to view. From this point, we can show them where there are any issues and educate the patient on both the problem and the treatment options available. A well-informed patient is more apt to choose the best option for their dental treatment. 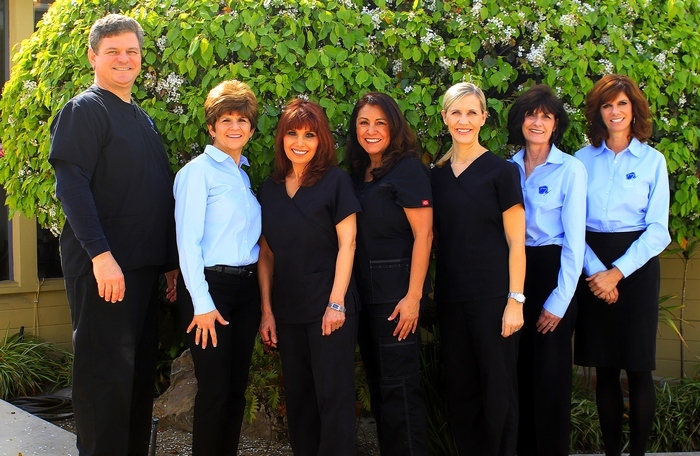 At Dana Niguel Dental, our PHILOSOPHY is that everyone deserves the best that dentistry has to offer in a comfortable, friendly, and safe environment. Frank Godino, DMD, our Dana Point dentist, always strives to educate our patients as to the importance and value of an investment in quality dentistry. Our MISSION is to provide our patients with the highest level of dental care and service in the most pleasant environment possible. We are dedicated to providing the opportunity of comprehensive dental treatment with the most advanced instrumentation, techniques, and materials available. We believe that making your smile the best it can be will go a long way in improving your quality of life. We offer the most current technologies in cosmetic dentistry to create a dazzling smile that you will be proud to show. A beautiful smile builds confidence, and healthy teeth and gums will improve your overall health. It is our goal to be your partner in achieving both! Dana Point dentist, Frank Godino, DMD, is dedicated to providing cosmetic and family dentistry services including fillings, teeth whitening, veneers, crowns, and more.